Want to experience a whole world of entertainment, food, and culture in just two days? 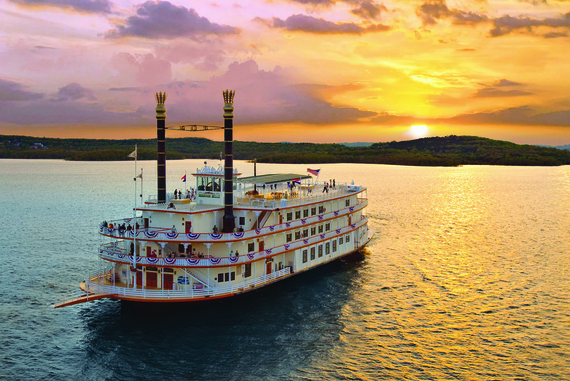 It’s time to See the World in Branson! Join some of Branson’s top entertainers for the “See the World in Branson” event on April 22nd and 23d at the Welk Resort. Although Branson is known for its live country music, our great little city is also home to shows that feature entertainment from all around the globe, from Chinese acrobats to Irish tenors! See the World in Branson is your opportunity to see some of Branson’s best performers, go on a culinary adventure sampling dishes from around the world, and maybe even learn some new trivia about foreign countries and cultures. There’s so much to see, do, and taste during this two day event! “Savor the Flavors of the World” is an absolute must-do at See the World in Branson! Not only will you have the opportunity to sample cuisine from around the world, but several Branson celebrities including Clay Cooper and Doug Gabriel will be stopping by to show off their culinary skills with cooking demonstrations, and to compete at the Iron Chef Celebrity Cookoff. You’ll get to taste their creations, and maybe even score an autograph! See dozens of Branson stars for one ticket price at Music Fest both 2 days! Two, three hour shows include stars of some of the top shows in Branson, so it’s a rare opportunity to get a taste of multiple genres of branson entertainment all in one performance! Enter to win exciting giveaways throughout the event, like an international gift basket sponsored by Branson Travel Planning Association’s information & planning experts. Even participating hotels are getting into the fun with photo shoots, fact sheets, cultural displays, and breakfast items from the countries they’re representing! Come say, “Hi!” to Mel Tillis who, although won’t be performing, will be there to meet and sign autographs. Performances by: Billy Dean, The Oak Ridge Boys, The Osmond Brothers & Osmond Sisters, Shoji Tabuchi, The Duttons, SIX, Clay Cooper, Dean Z as Elvis, The Brett Family, AYO starring Voices of Glory and more! Need Expert Advice For Your Trip To See the World in Branson or any other time? If you’ve always dreamed of traveling the world to experience other cultures, See the World in Branson is going to be a fantastic way to get a taste of that international experience without the language barriers and lost luggage! To learn more about See the World in Branson, or to reserve discount event tickets or lodging, contact the Branson Travel Planning Association by email here, and our friendly and knowledgeable Branson receptives will be happy to help you with plans to visit this exciting event, whether you’re traveling as a group of two or two hundred! Come See the World in Branson on April 22nd & 23rd, we’ll you see you there!